for their actions at Herlong or the Brown Act violations? Montgomery wants the voters to take care of this? Ms. Montgomery, that may well happen when your term ends! 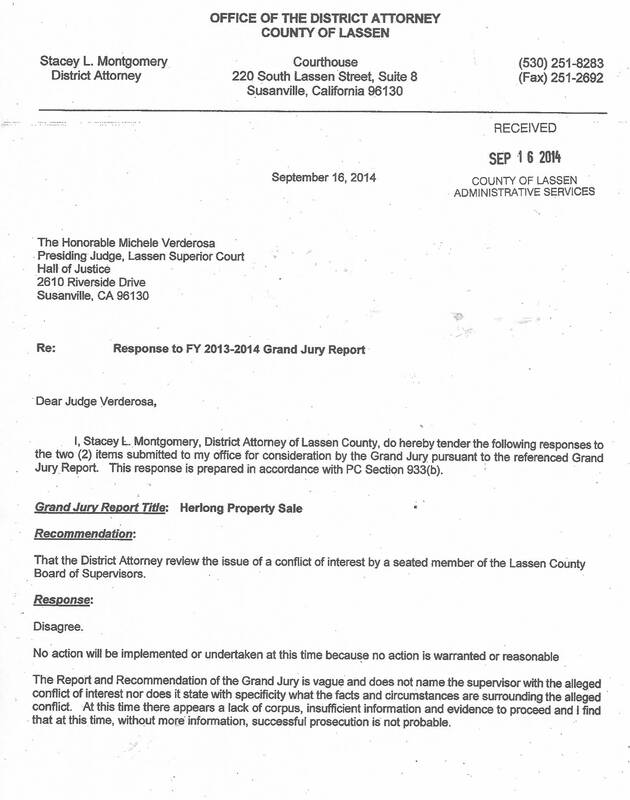 This was the gutziest Grand Jury in the history of Lassen County Grand Jury's. 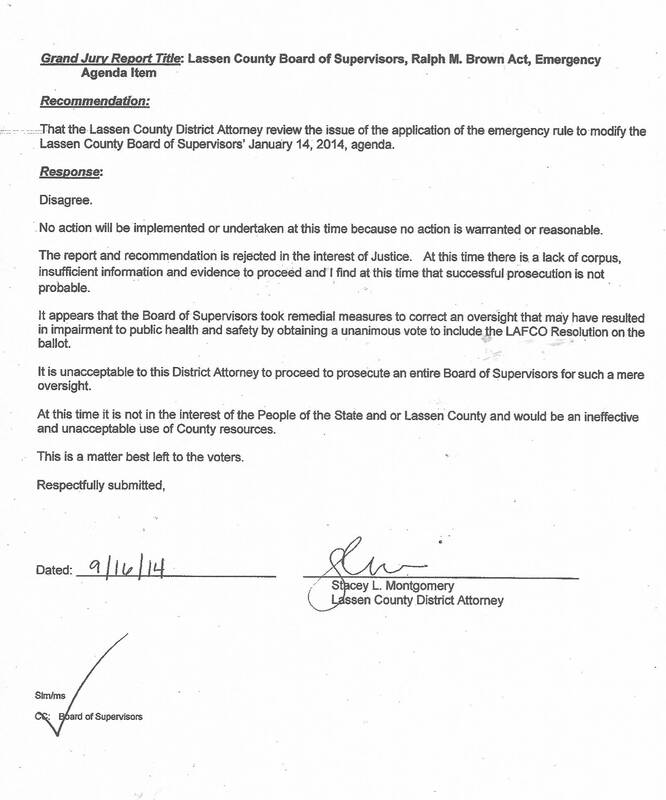 The new District Attorney didn't have an ounce of back bone to at least say "cease and desist"